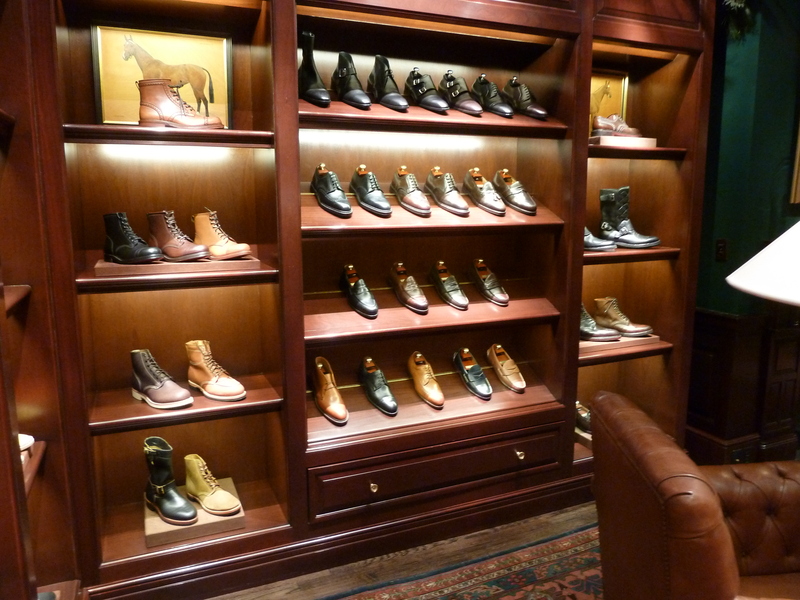 A Footwear Flagship for Ralph Lauren | A Continuous Lean. On the corner of 72nd and Madison on New York’s Upper East Side, sits the Rhinelander Mansion, a palatial building that houses the flagship location of Ralph Lauren’s global empire. And yet, â€œThe Mansionâ€ (as it is affectionately known) is far more than a store, it is the epicenter of the RL universe. It’s a physical manifestation of Ralph’s vision, complete with imposing antiquities, more Americana than a field at Brimfield, and of course the full breadth of the brand’s collections. And so, when the brand chooses to shift course, or launch a new idea, The Mansion is the place for Ralph where everything begins. 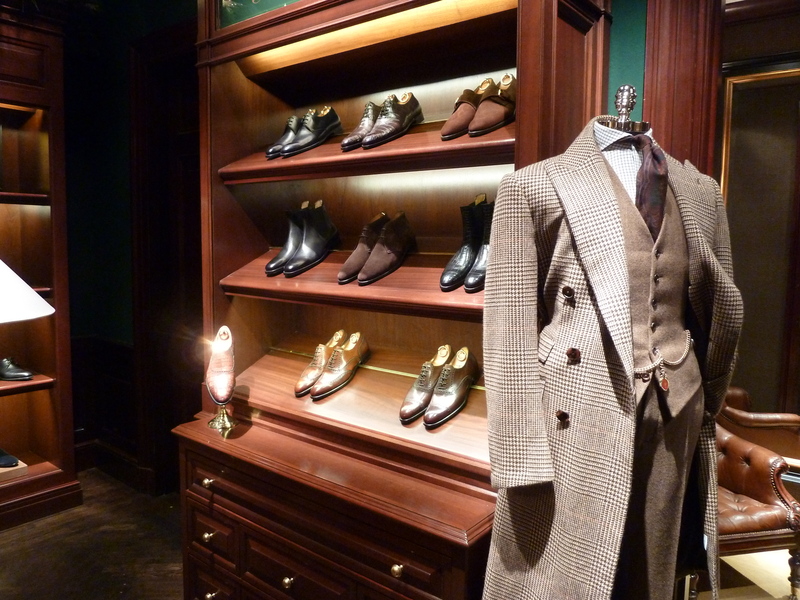 The latest concept to be debuted at the flagship is an updated â€œshoe salon,â€ which showcases the complete Ralph Lauren footwear range, from Purple Label to Polo, as well as a freshly updated Made-to-Order Program. The room itself is grand in a manner that one would expect from an Upper East Side manor, with the deep colors that allude to RL’s higher end lines. 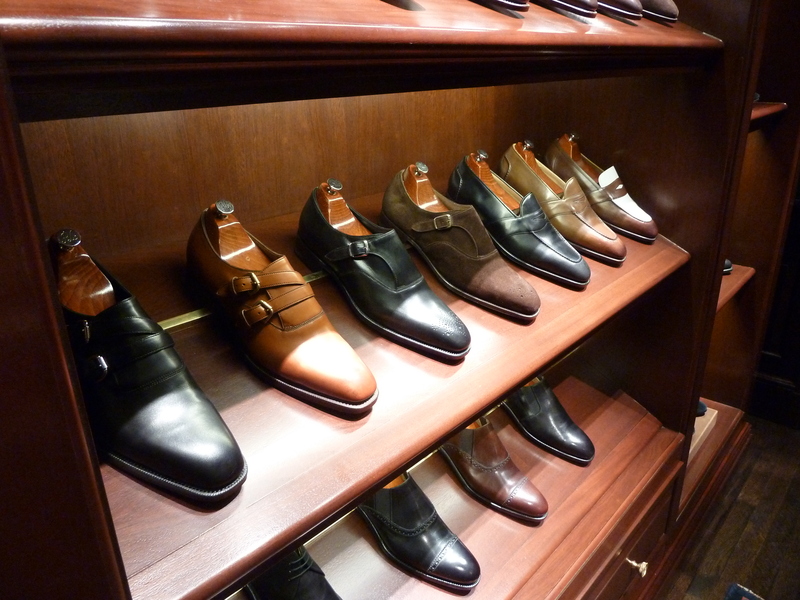 Displayed on the multitude of mahogany shelves are an array of models that range from resort ready espadrilles to stomping leather hikers that conjure of images of Gianni Agnelli. On the far side of the salon lies the Made-to-Order wall, presenting a slew of mocked-up models that aren’t for sale, but are rather intended to spur a customer’s imagination for their own customizable creations. Through this Made-To-Order program RL allows customers to create a shoe to their unique specifications, allowing them to choose from a variety of leathers, suedes, and even crocodile skins. 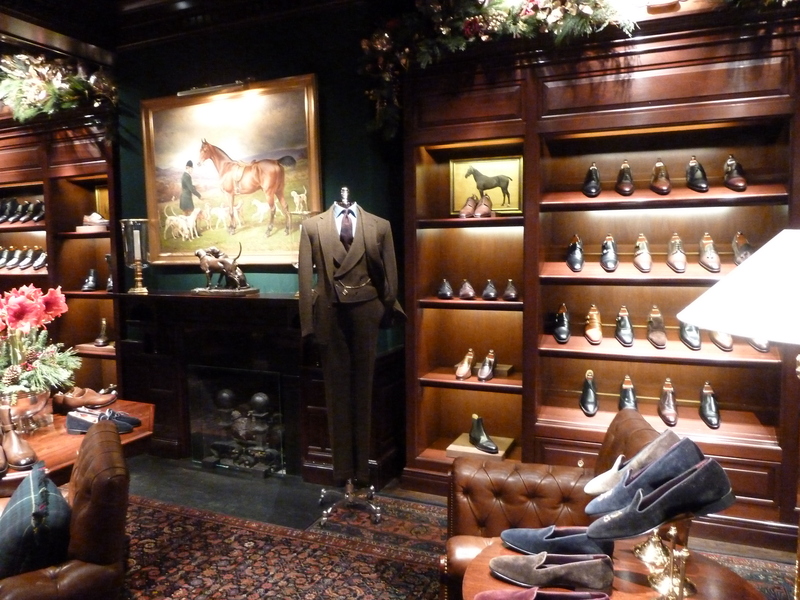 The salon as a whole speaks to a more concerted effort from Ralph Lauren to build upon their footwear program, and as they hone in on their footwear line, shoe specific rooms such as this will be popping up all across the RL empire. 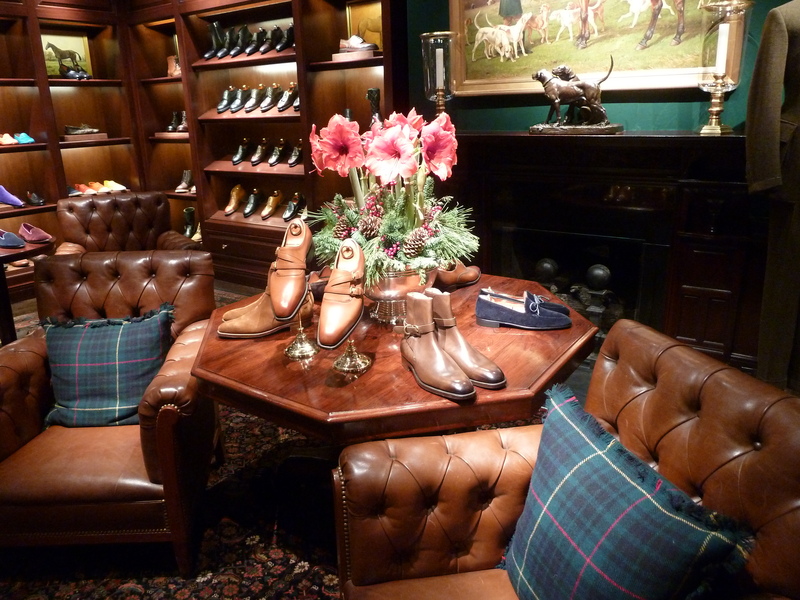 So if you can’t make the pilgrimage to this Madison Avenue mecca, have no fear, because pretty soon Ralph will be bringing those custom alligator double monk boots to a store near you. Any word on who is making the shoes for RL? I thought Crockett and Jones made some of them. Not sure about the featured line, but the two pairs of Purple Label oxfords I have are Edward Green (confirmed by the RL salesman and a guy at the Edward Green shop in London), and my one pair of Polo chukka boots is C&J. But, now that I think about it, these are all 10+ years old. 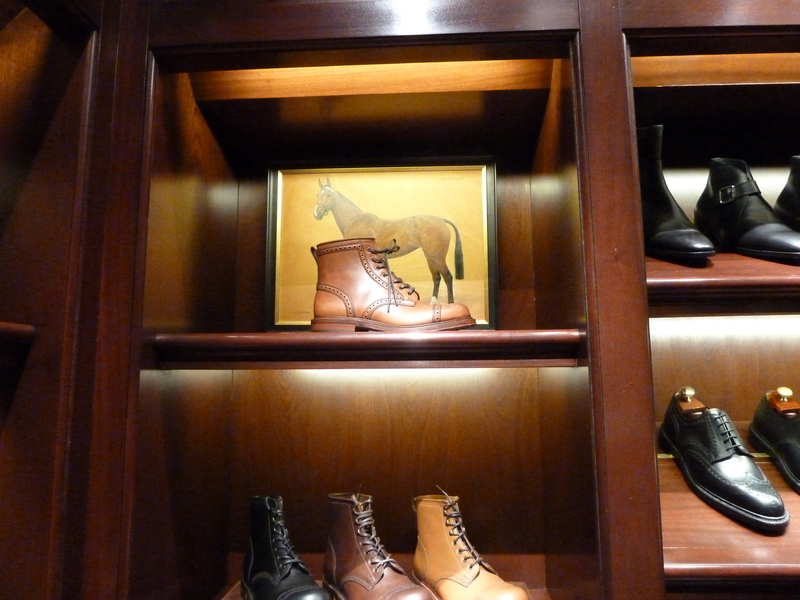 CJ on many; AE makes some USA-built oxfords; rancourt makes many loafers. Pac Sun… the merchandise is the marketing collateral. I discussed this with the RL salesperson when I dropped in about a month of two ago. If I recall correctly, the entire row of shoes shown in the last image are all Edward Greens. These are RLs staple models which have been around for a while now – the monk strap Grant on 888 last and the Barksdale loafer on the 101 last. 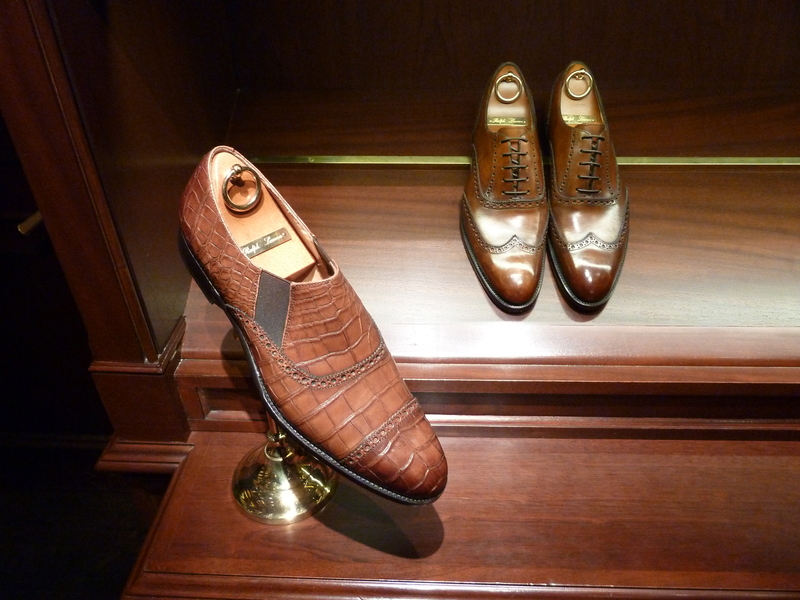 There were also shoes made by Gaziano & Girling, although I didn’t see any in these pictures. Just curious, When people buy a high end shoe/boot with elastic do they generally have to get the elastic replaced (because it gets worn out) if they wear them long enough to resole. I guess I was thinking more about the Williams boots etc? The elastic has always scared me away. You can’t go wrong with shoes made by either one of those companies. 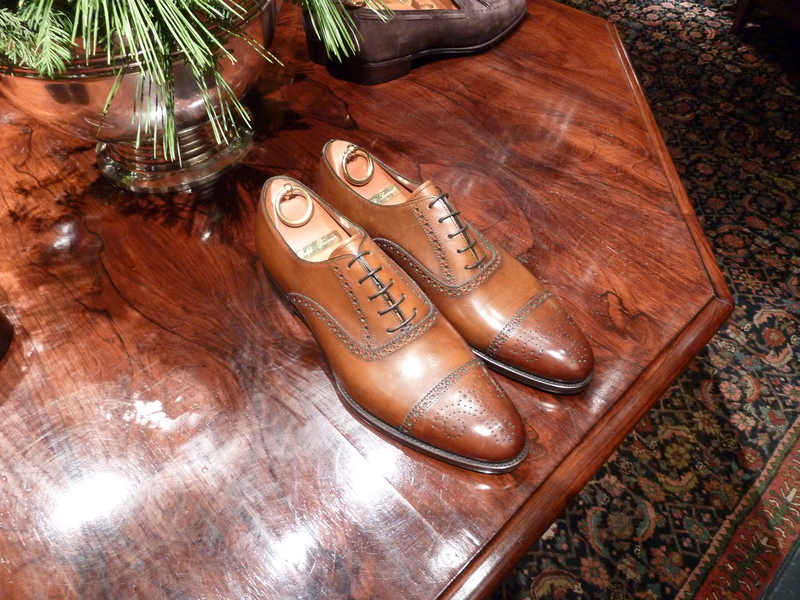 The G&G shoes have been getting a lot of well deserved press lately concerning their craftsmanship,leather patina,and sophisticated models. FWIW years ago, I had to return a pair of (real) Peal’s loafers to Brooks because the elastic was cutting off circulation across the vamp and needed to be loosened; they did so cheerfully and without charge. Thirty years later, when I ditched them, the elastic was still holding forth. And FYI, Crockett makes today’s Brooks Bros Peal shoes. I’ll put in a chit for the help at the Mansion: They are always VERY helpful and will knock themselves out calling around to other stores etc to find something if they are out of stock (or even if it was last year’s number). That isn’t surprising for HQ, but then, compare it to Barney’s and you’ll know what I mean. Nice enough for sure but for the best selection of top quality mens shoes at least in NY you have to go downtown to Leffot. By far the best if the best.